Is your bathroom starting to look a little tired? Do you find yourself going round to other people’s houses and wishing your loo could look as good? If you’re still stuck with the kind of avocado green units and brown carpet that was so popular in the 1970s, then maybe it’s time to give your bathroom the new look it’s been crying out for. There are many different types of bathroom you can get hold of these days to suit a wide range of budgets, from the attractive basic white units, to a style and theme which will compliment the rest of your home. And, once you’ve discovered your dream bathroom and are looking for bathroom fitters Ashby de la Zouch, this is where our experienced team can help. You may have heard the phrase that it’s a kitchen and bathroom that sells a home. This is because these are the two rooms most used by visitors and of course, the people who live there. As such, they must be appealing and welcoming to anyone looking round. If you have a new suite in your bathroom, it could be the added touch of luxury that turns interest into a sale. And, if you’re thinking of adding a bathroom, then this again can come with extra appeal, especially if there’s only the one in your home currently. It’s also an opportunity to fix an existing problem that may well stand out like a sore thumb to potential buyers, such as a leaky tap or chipped tiles. 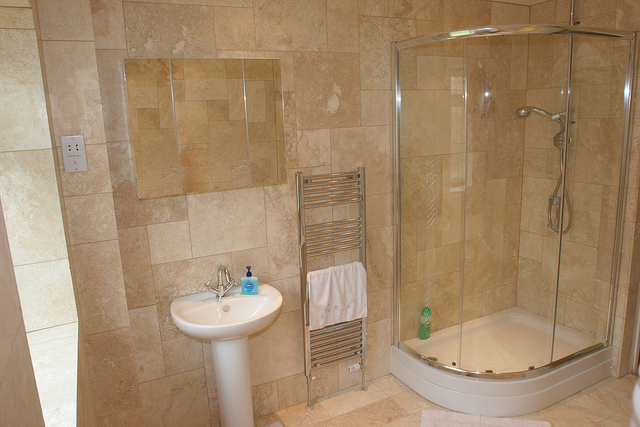 With over 40 years of experience in plumbing, heating and bathroom design for a wide range of homes in Ashby de la Zouch and beyond, we can offer a complete bathroom refit and refurbishment that we know you will love. We pride ourselves on being able to fix any plumbing issue big or small, or, if it’s a new look bathroom that you need, then we can do the complete job there too. There’s no point holding off on something you really need. When it comes to a bathroom refit, we can offer solutions every step of the way, from finding the bathroom and the initial design, to all fittings, installation, plumbing and tiling jobs. Get in touch with us today to find out more about the work we can do in your home, making it a place to be proud of once more. This entry was posted in Plumbing Services on July 27, 2016 by Dean Oram. May 17 Why you should get a wet room in Leicester?